Here at Best Online College, empowering potential students to get the career that they want in the field that they are passionate about, is our only goal. We want to connect students to the schools that will get them on the track to success. Because of all of these goals, we have put together our list of the top online universities and colleges. These schools are the creme de la creme, the cream of the crop, the schools that will launch you to the career that you want, in a way that you never thought possible. Online Degrees Will Revolutionize Your Education. . .Why? For years, many of those from academia have stuck up their nose at online colleges and universities. They claimed that these institutions just didn’t give the student the necessary rigor and academic quality that was provided at traditional brick-and-motor schools. Online schools were infamous for only caring about the money that they got, and they weren’t respected in the real world. However, for these top 10 online schools, this just isn’t the case. Online schools have exploded in popularity, and more importantly, they are gaining credibility. With the flexibility of an online school, you can earn your degree and be instantly employable. 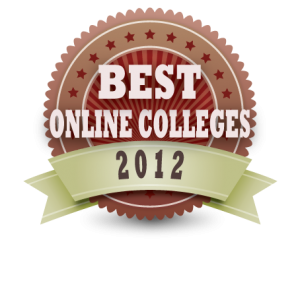 Why Do You Need A Ranking of Online Colleges? Let’s be honest, not all online colleges or universities are created equal. Not all programs will give you the quality of degree that you are looking for, or the credibility that you need. It can be extremely overwhelming to type in ‘online college’ and see thousands of results. We have made it easier for you by compiling our list. If you just can’t wait any longer, and you are crying with anticipation, without any more delay, here is Best Online College’s list of the top 10 online colleges and universities. We have compiled information about the top online schools that you won’t get anywhere else. Accreditation: For a school to be regionally accredited, it means that the school has passed the most selective and prestigious of accreditation. It is also useful for students because it is easier for students to transfer credits. For-Profit vs. Not-for-Profit: For-Profit schools are institutions that are run to basically make money. To learn more about not-for-profit schools, take a look at this website. Cost: One of the most important parts of deciding which college you want to attend is the cost. When choosing a school, cost was a huge factor when it came to rating it. Retention rates: If students actually stay at a school that they enroll in, it says something about the quality of the institution.